Magnets and the scorpion folding stock. I tried to find any thread that talked about holding the stock in the folded position with magnets. Mine does not have one, and it is getting pretty floppy. Was there any consensus on which magnets to use to hold it? 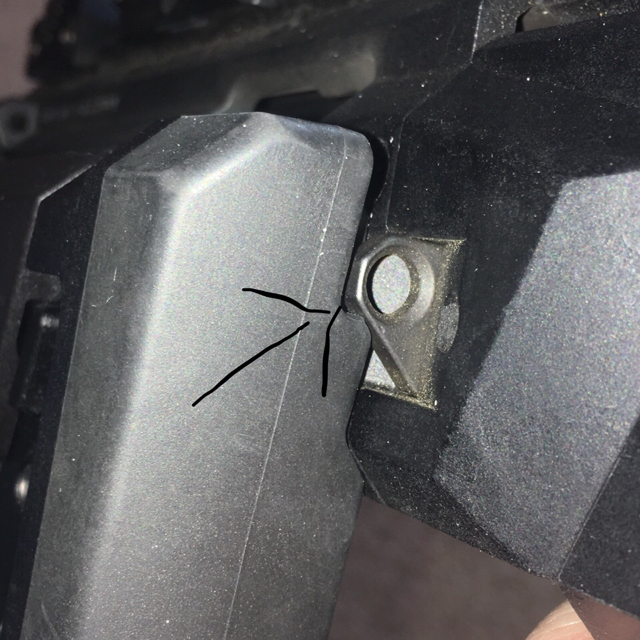 Re: Magnets and the scorpion folding stock. Are you talking about the oem stock? Here’s what that looks like with arrows pointing to the area I had to file down to make the magnet contact the serial number inlay. If I had to replace it I’d visit my local Ace and use plastic-safe epoxy. Mine has no magnet, and I am using a tailhook instead of the buttstock. My question is if there was a magnet that others have used with success to keep it folded. I tried a magnet from the local hardware store, but it was not strong enough. The factory stock comes with a magnet already in it. If your's didn't, you received a defective part. You lose the magnet when you install the tailhook adapter. I bought mine new from the LGS on 12/24/2018 and they just received it but it has a magnet. The carbines at shot show all had the new latch style stock. Anyone have photos of the new style? Yea, we are gonna need pics. It has a QD sling swivel built in too. 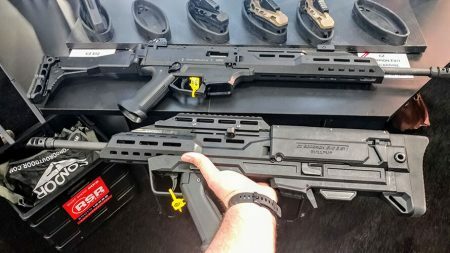 So with the stock hooked under magwell, can you have still have a mag in the weapon?